Canadian officials say they're ready for NAFTA talks with U.S.
International Trade Minister Francois-Philippe Champagne told Global TV's "West Block" that Canada is well prepared for the negotiations, whenever they begin. OTTAWA -- The Trump administration is likely to quickly trigger the process that will lead to renegotiation of the North American Free Trade Agreement, now that a new U.S. trade representative has been confirmed, say two Trudeau cabinet ministers heading Canada's side of the talks. 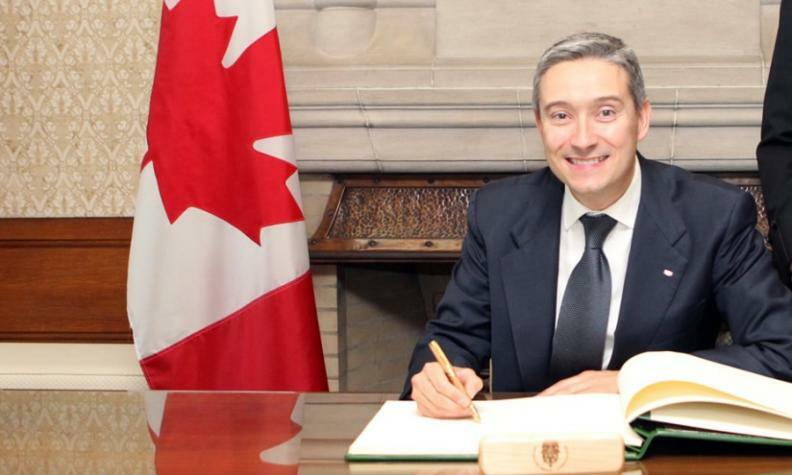 International Trade Minister Francois-Philippe Champagne said he'll likely get his first opportunity to meet face-to-face with Robert Lighthizer when the two attend an APEC minister's summit this week. The U.S. Senate approved Lighthizer as President Donald Trump's trade czar on May 11. Soon after, Trump said it was his intention to quickly file a 90-day notice with Congress to kickstart the NAFTA talks with Canada and Mexico, a requirement under U.S. law. Canada maintains a solid footing for the negotiations, whenever they begin, Champagne told Global TV's "West Block." "We are ready, we are prepared, and we're going to see what they put on the table," he said. "But we're going to be firm in our position as to protecting Canadian workers and protecting Canadian interests." Foreign Affairs Minister Chrystia Freeland said she also expected to meet with Lighthizer soon, and that the pre-negotiation process would likely start "very soon." With Lighthizer's confirmation, "I think that the process ought to now get moving," Freeland told CTV's Question Period. "And we're enthusiastic about that," she added. "We're keen to sit down at the table with our American and Mexican partners and to modernize what has been a really great trade agreement for our continent." The Trump administration has signalled that it wants significant changes in a range of sectors, including dairy, lumber, automobiles, pharmaceuticals and the NAFTA dispute-resolution system. Trump himself has said he expects "massive" changes, telling The Economist last week that "big isn't a good enough word" to describe the negotiations. But whether there is time for a "massive" restructuring of the long-standing trade deal is being questioned by observers, who point out that Mexico has expressed a desire to get a new deal by early next year, before the Mexican election. In the meantime, both Freeland and Champagne said Canada will continue pressing Ottawa's position in behind-the-scenes discussions with political actors in the U.S.; that NAFTA has been a boon for jobs in both countries.